A huge part of search engine optimization revolves around the need to reach relevant audiences and persuade them to become return visitors. While a constant flow of new traffic is an important element of SEO, building loyalty among those who visit for the first time is absolutely crucial in expanding reach and growing brand recognition. There are many different elements that can affect search engine rankings and placement, and people decide to click on any given link in search results for a variety of reasons. Today, we’ll discuss various types of search habits and how they – along with overall word count – may impact your search rankings in a variety of areas. People use search engines to access or learn about a never-ending series of topics and ideas, which can make it seem impossible to accurately predict who will use search engines and for what. 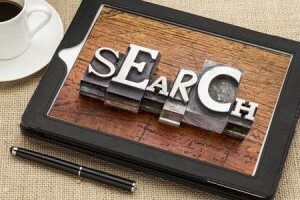 In reality, there are three major reasons why people use search engines. The first reason relates to wanting to do something specific, but needing more information on how to accomplish such tasks. The second reason relates to wanting to access more information about a particular topic or learn about something new. The third reason relates to wanting to arrive at a particular location. Pinging search engines with these different requests will produce different results, depending on how the search query is phrased. People who wish to buy a particular product but who do not know from where will search for outlets from which the purchase can be made. Those who want to learn more about a product before purchasing will search for information about the product in question. Those who already know what type of product they want and from where will search for a specific outlet through which to buy the product. All of these desires will produce search results in Google and other search engines, but each type of inquiry will produce different search results. A brand’s goal should be to appear in all three types of inquiries. In years past, it was not uncommon to see websites ranking highly in search that provided little to no information or value to the user. Keyword stuffing and other basic forms of SEO were all too common. These strategies worked until Google and other search engines learned how to reform their algorithms to penalize websites with thin or duplicate content. Search engines have stated in the past that word count is not a direct influencer of how well or poorly a website will rank, but word count does appear to have some connection to the dynamic. Study after study shows that pages with higher word counts rank better in search than pages with lower word counts. If you’re pinging search engines with blog posts and pages that have more than 1,000 words and are relevant to the audience you’re targeting, then there is a good chance that your SEO efforts will outperform those of websites that produce thin or little original content. As such, bloggers and webmasters who dedicate their efforts to detail and quality are often rewarded more substantially for their SEO efforts than those who solely focus on technical attributes.